Contessamat is a series of 35mm film viewfinder / rangefinder cameras manufactured by Zeiss Ikon AG., Stuttgart, former West Germany and produced between 1963-67. 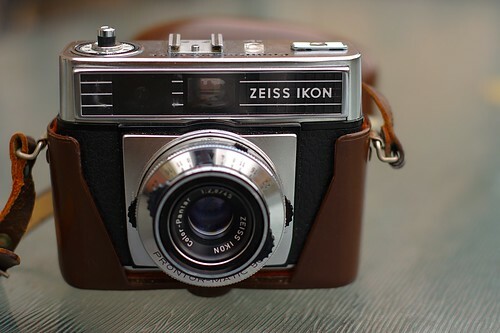 Contessa was the name given to a family of cameras produced by Zeiss Ikon in Stuttgart that folders between 1950-1955 and compact rangefinder/viewfinder cameras between 1960-1971. These were mid to high-end cameras. Non-folding cameras were Contessa, Contessamatic and Contessamat. For flash photography SBE has a a system to couple distance and aperture rings; when focusing the rangefinder the aperture sets simultaneously.